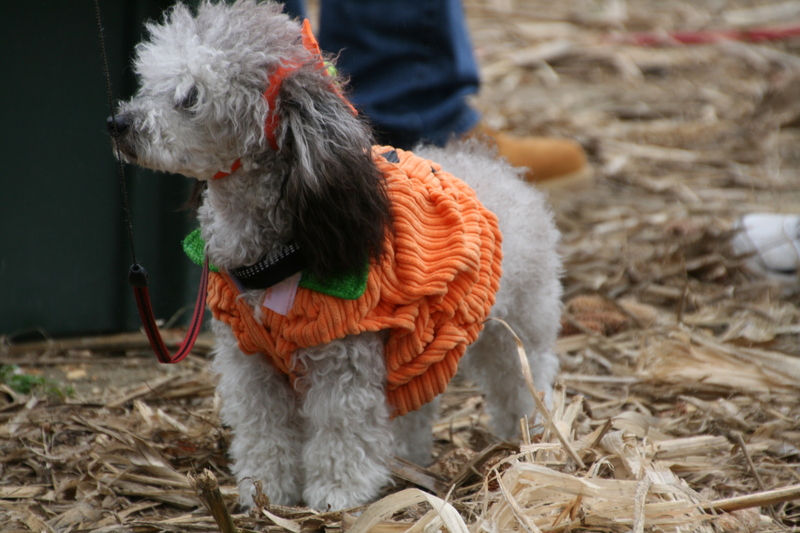 Where did the pumpkin go? 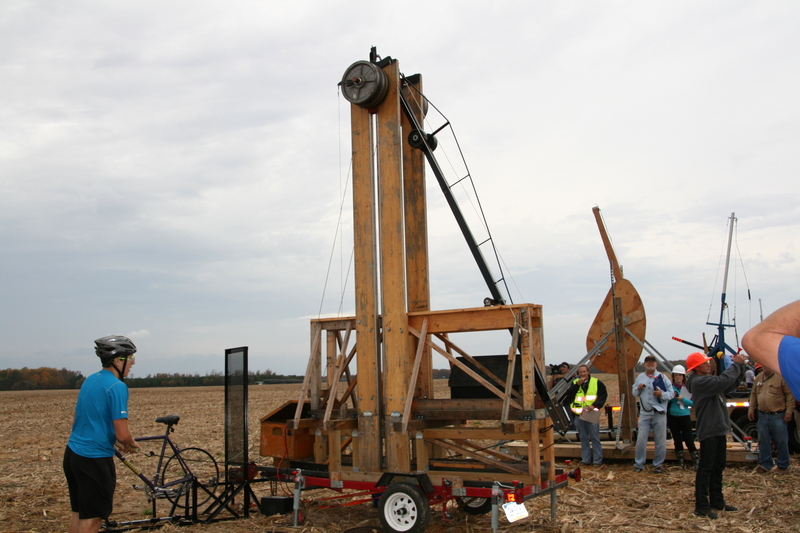 I wondered, when I could no longer see the pumpkin just launched by a human powered machine. 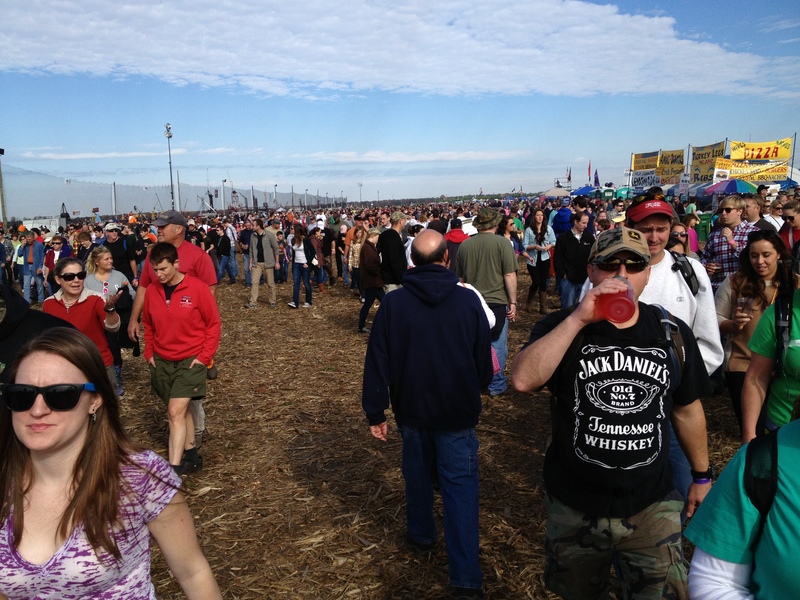 I removed my camera from in front of my face and searched the sky, suddenly aware that everyone around me was scurrying. 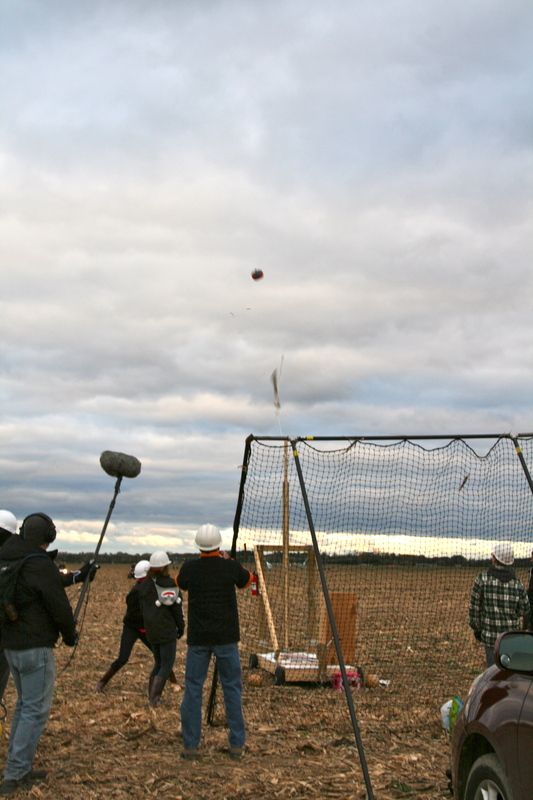 Sent soaring over 100 feet in the sky, the pumpkin was now flying back down to earth, its trajectory not in front but behind the machine where many spectators, including myself, were watching. 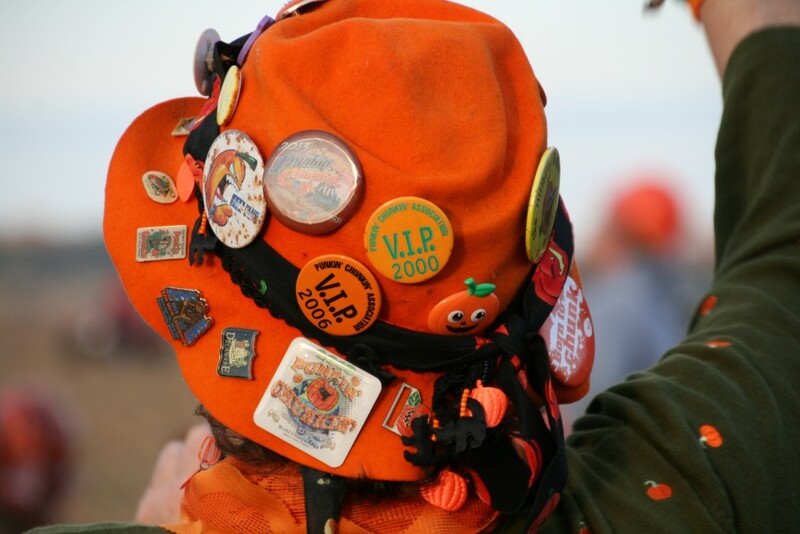 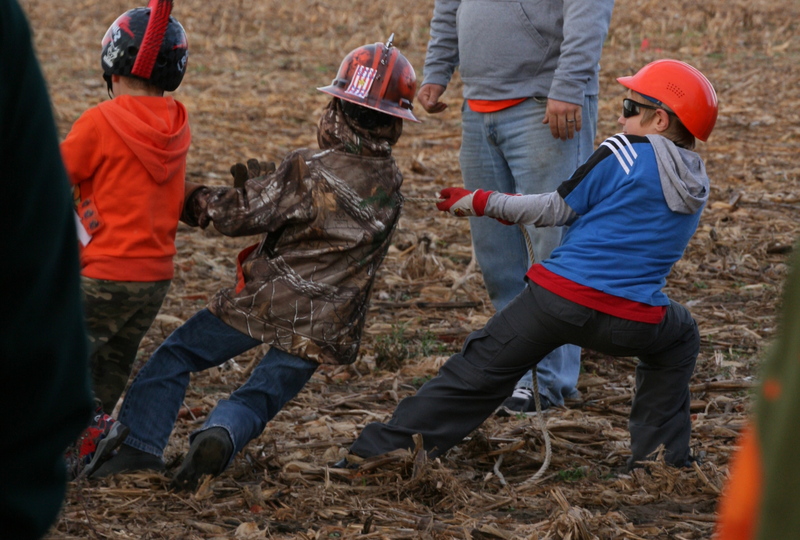 All ages, from little kids to grown men and women, launch pumpkins on a cornfield at the World Championship Punkin Chunkin in Bridgeville, Delaware, each year on the first weekend in November. 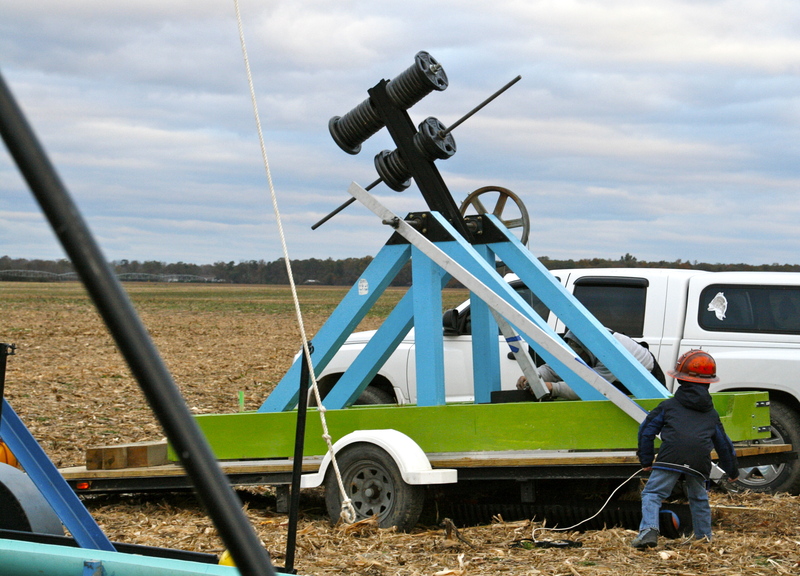 People from all over the U.S. and even Australia spend months building what they think will be the perfect machine to launch a pumpkin: a catapult, trebuchet, sling shot, centrifugal, or air cannon with names like Whirled Peace, Chunk-n-ology, Pumpkin Slayer, and Cinderella’s Revenge. 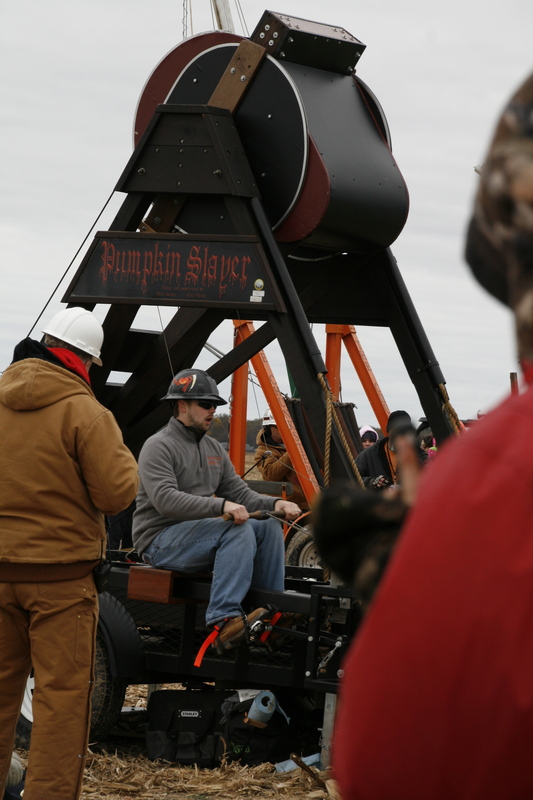 Thousands of spectators come to watch the pumpkin chucking and the people who chuck them. 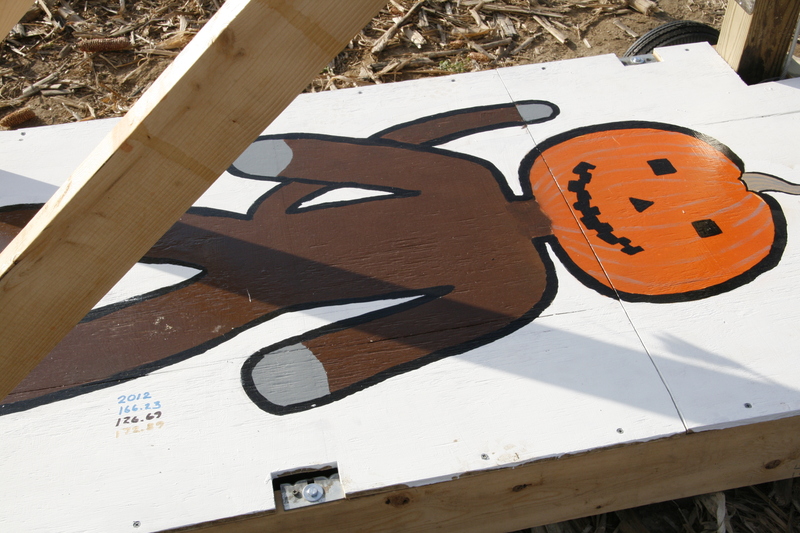 With no idea where to go, I started to move then heard a loud splat! 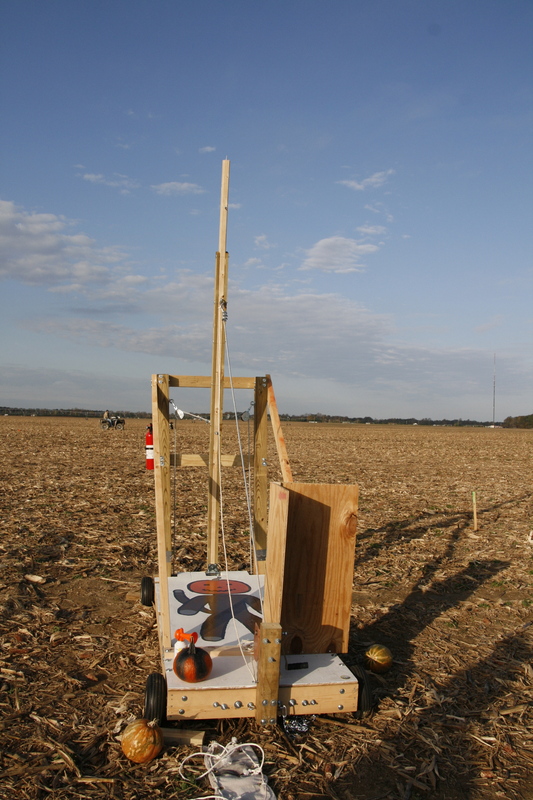 The pumpkin had landed. 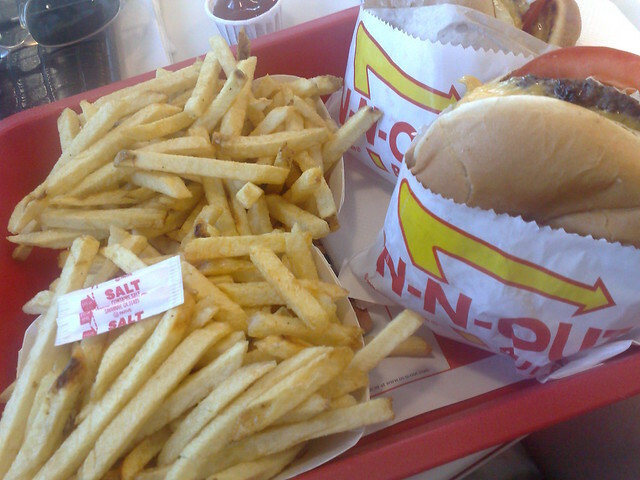 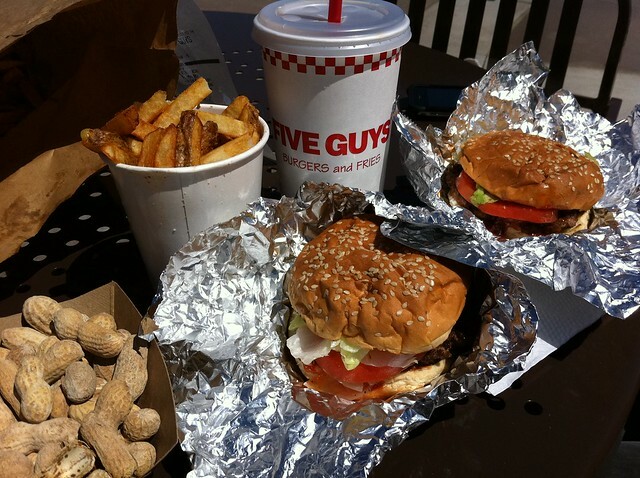 Right next to me. 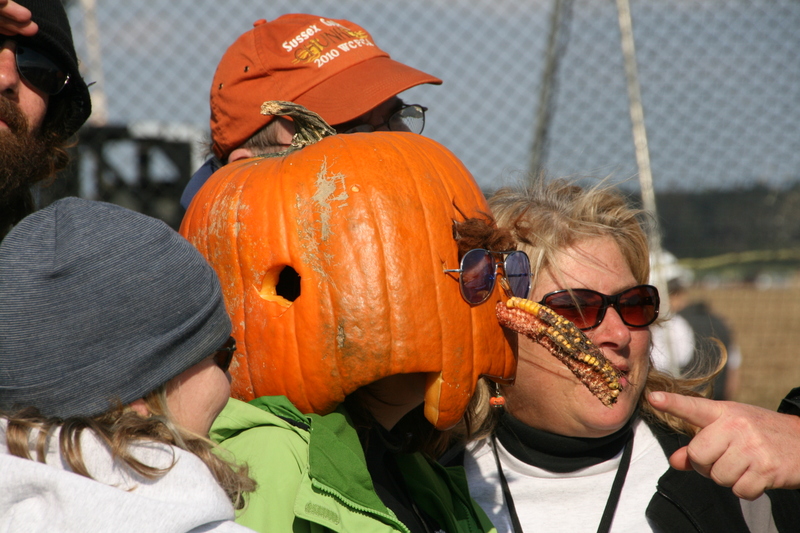 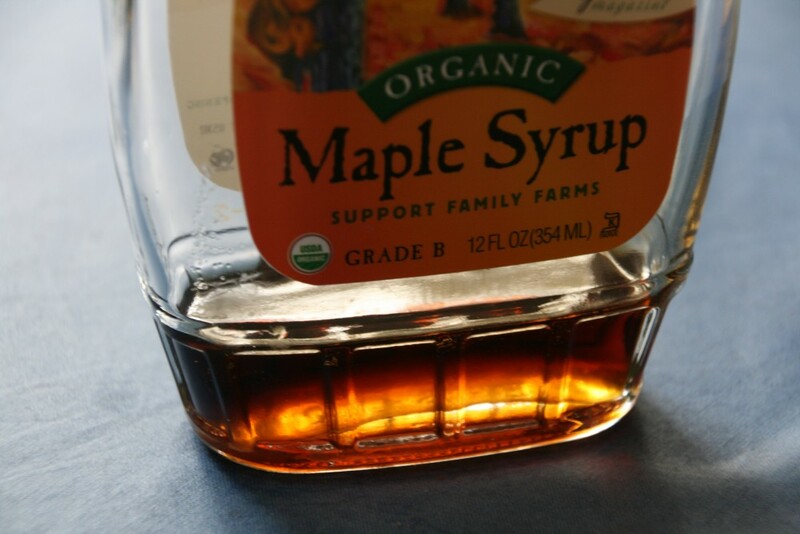 From then on I was known as the person who almost got killed by a pumpkin. 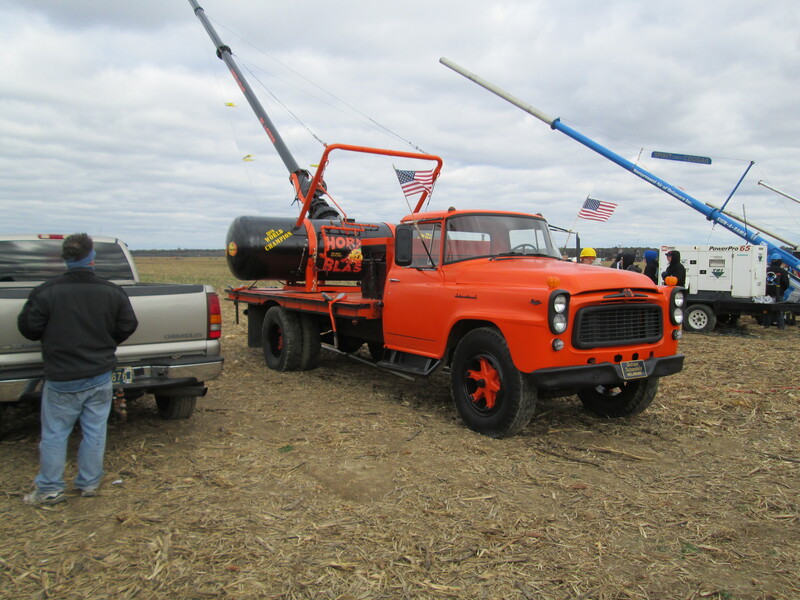 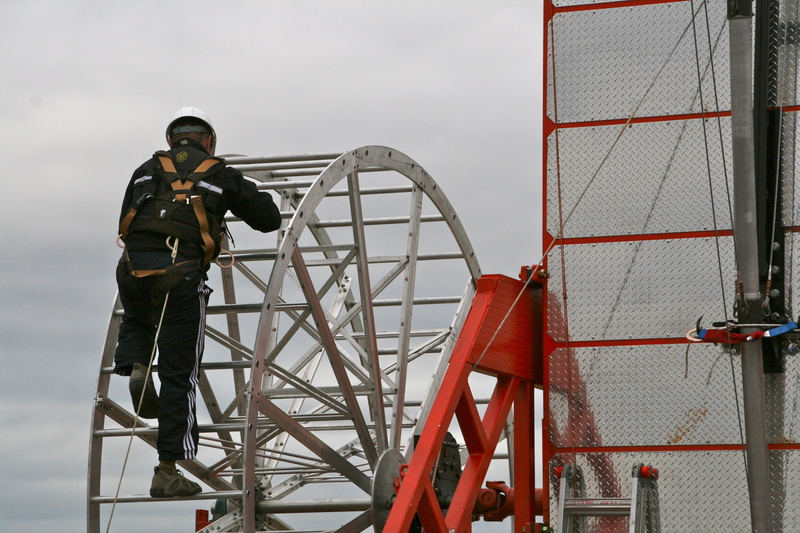 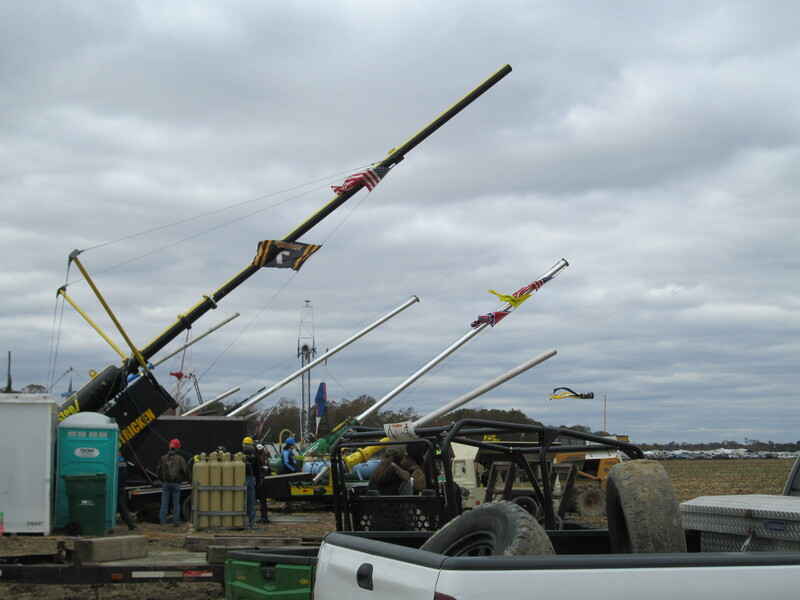 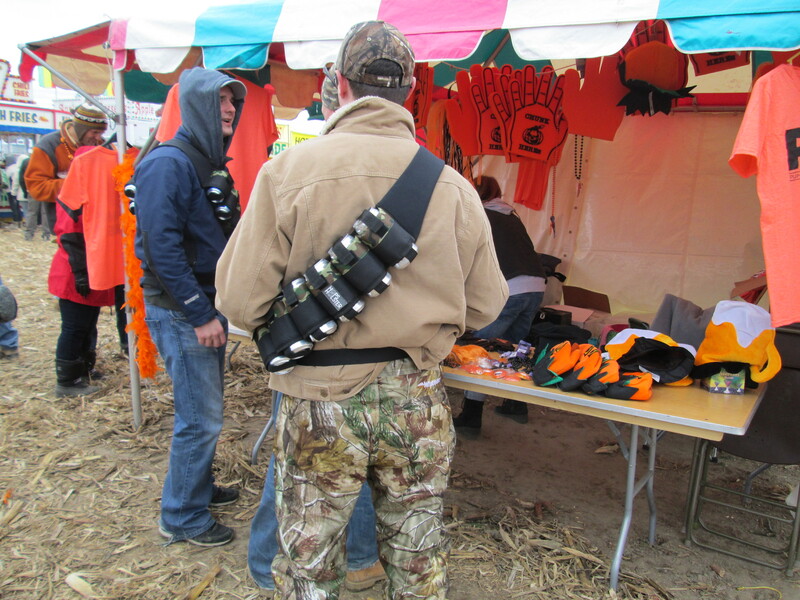 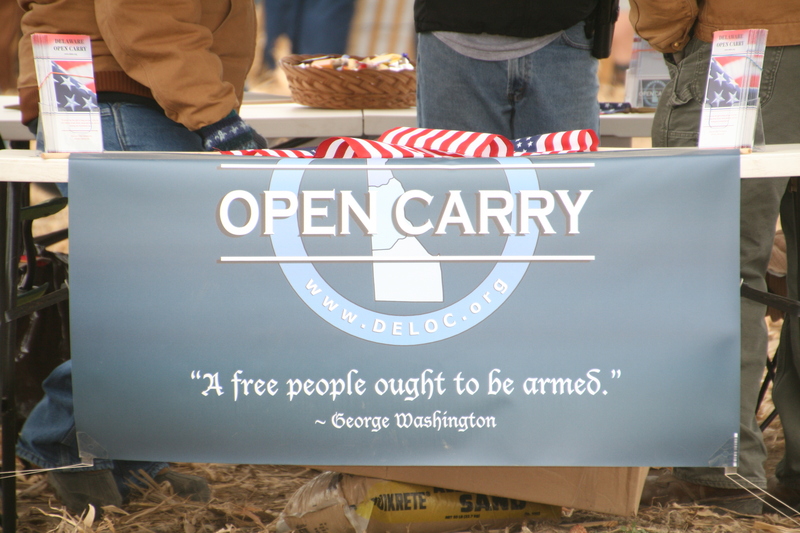 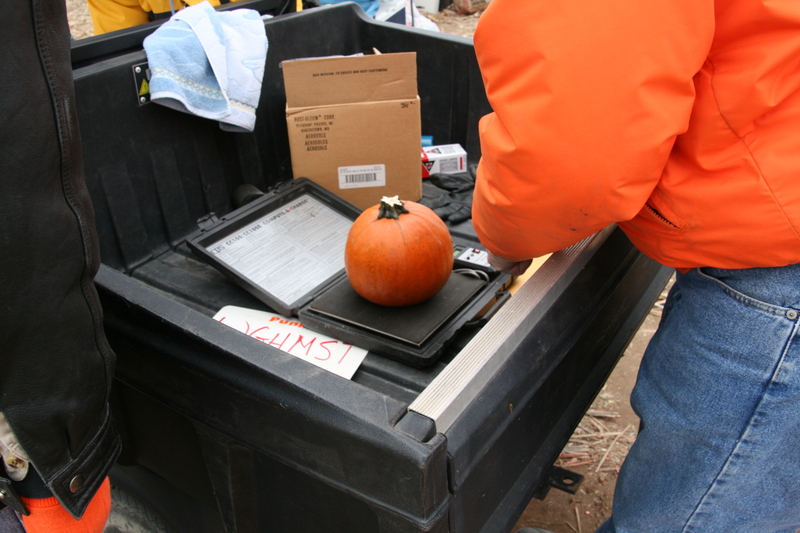 Be sure to check out my photos from last year’s event in these posts: Chuckin Pumpkins at Punkin Chunkin, Checking Out the Big Guns, Hanging Out at Punkin Chunkin. 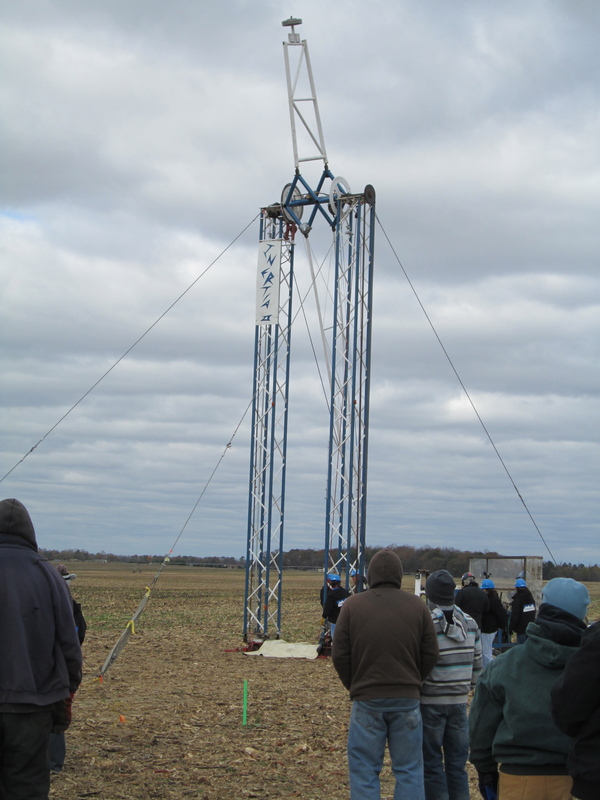 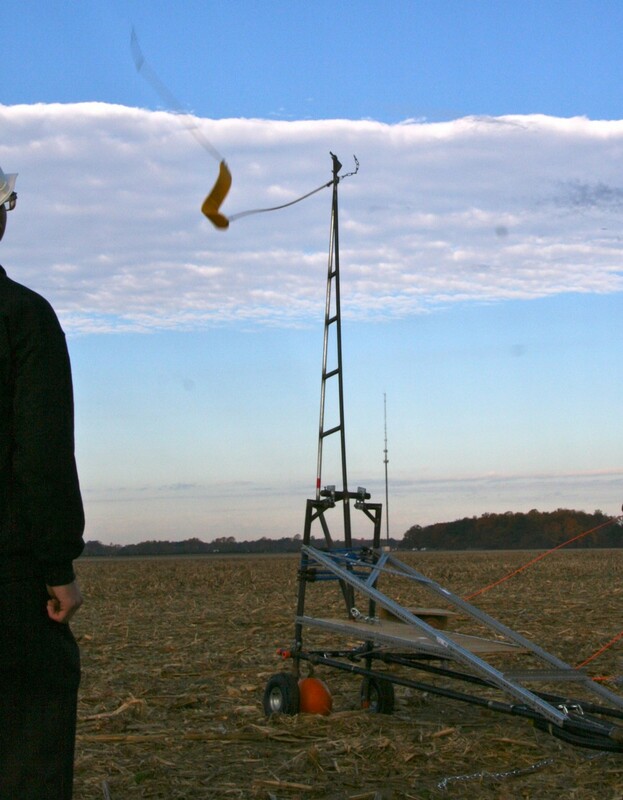 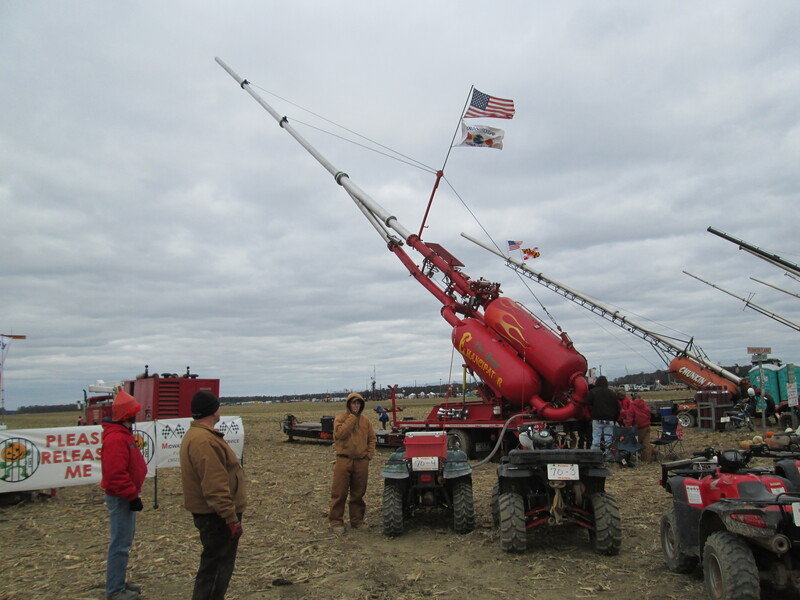 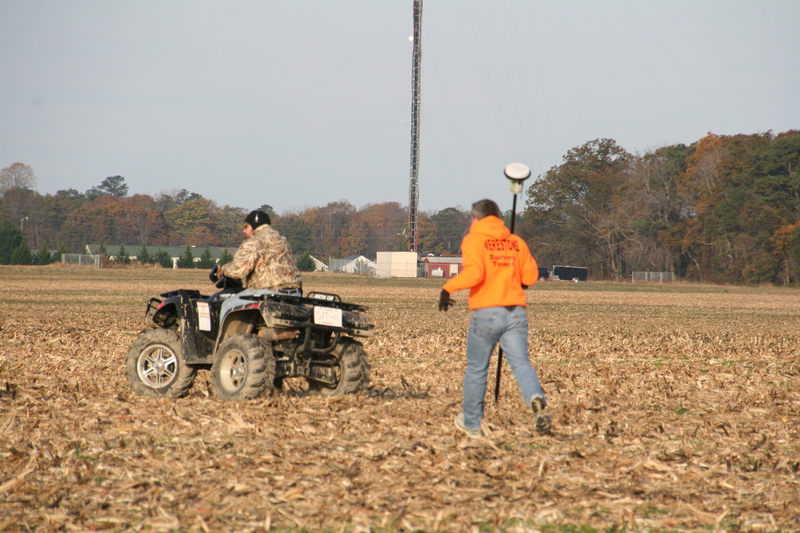 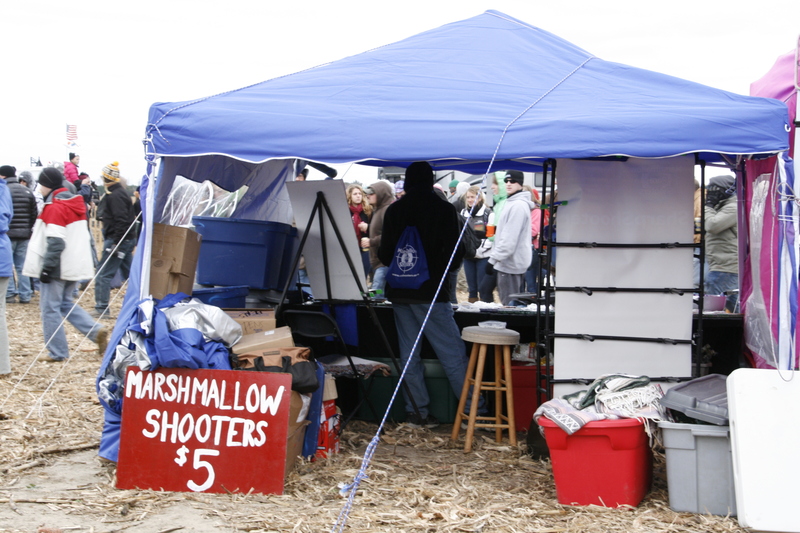 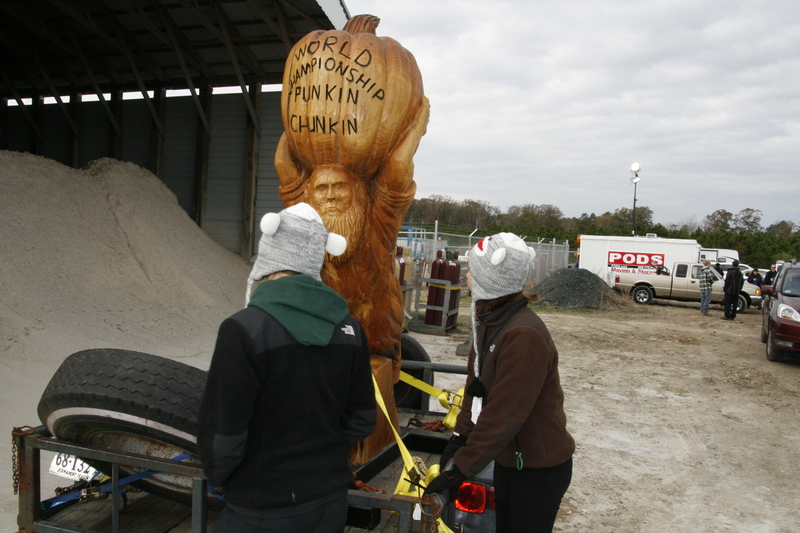 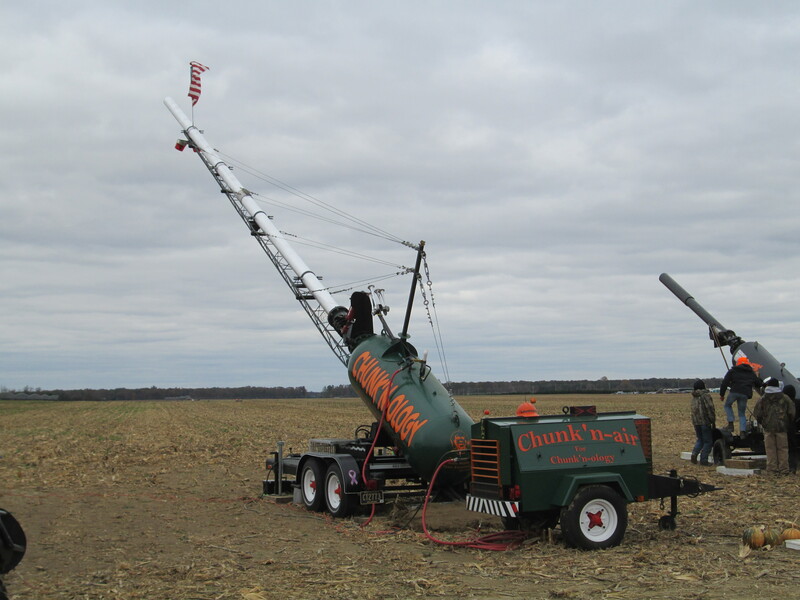 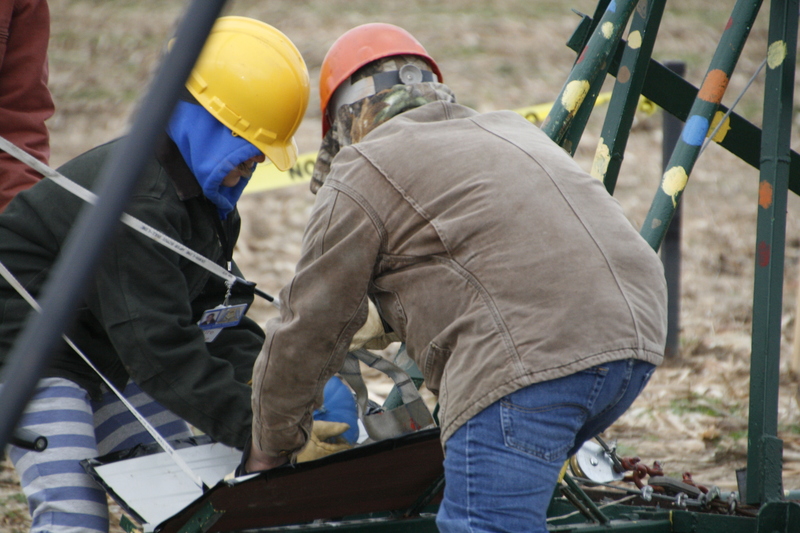 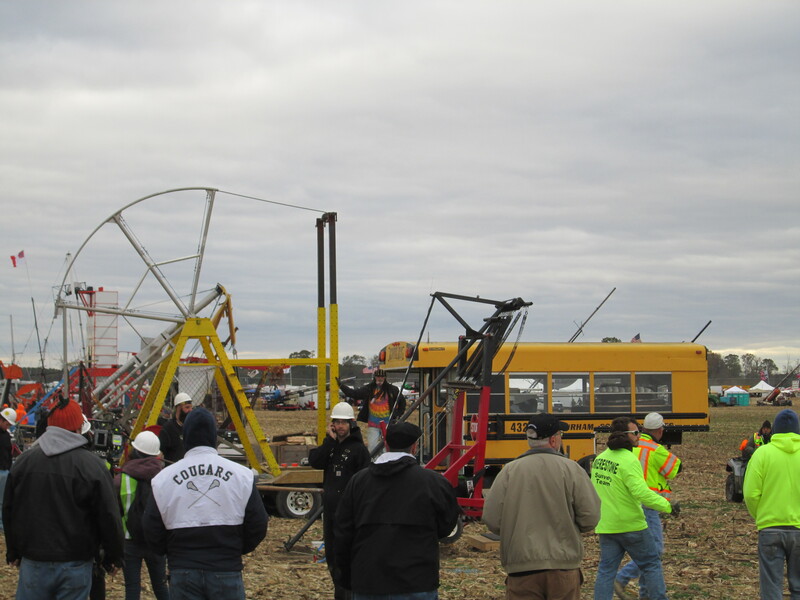 The WCPCA (World Championship Punkin Chunkin Association) “raises money for scholarships, as well as organizations that benefit youth and the local community.” The event will be televised on the Science Channel on Thanksgiving at 8 p.m. 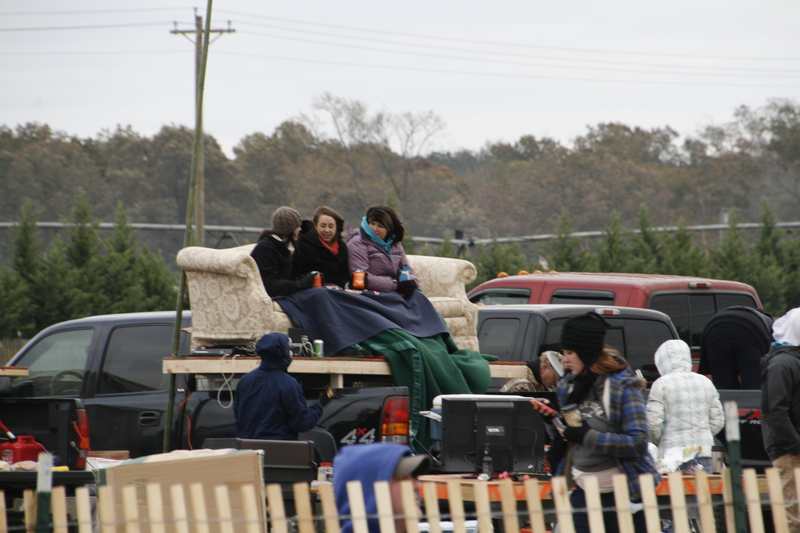 When we weren’t watching the machines, we were watching the people, on ATVs and golf carts, on couches on top of pickup trucks, wearing orange and black, some with real pumpkins on top of their heads. 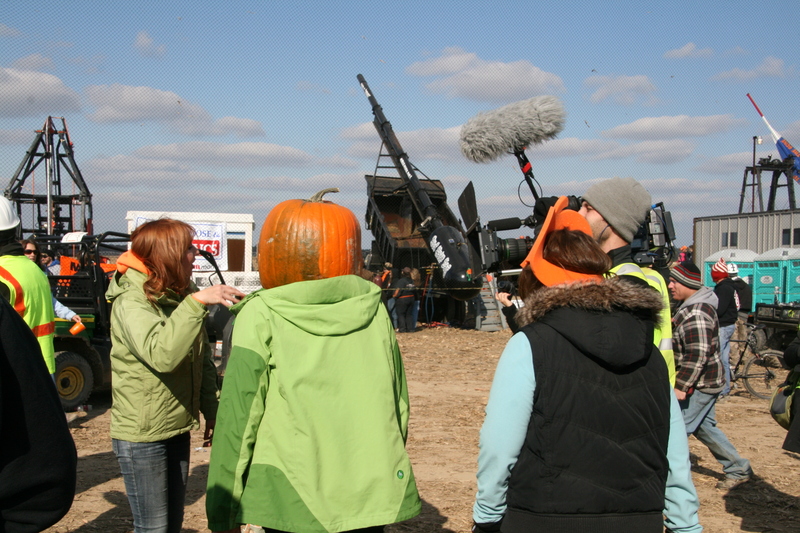 We caught glimpses of Kari, Tory, and Grant from MythBusters interviewing people for the Science show on Punkin Chunkin. 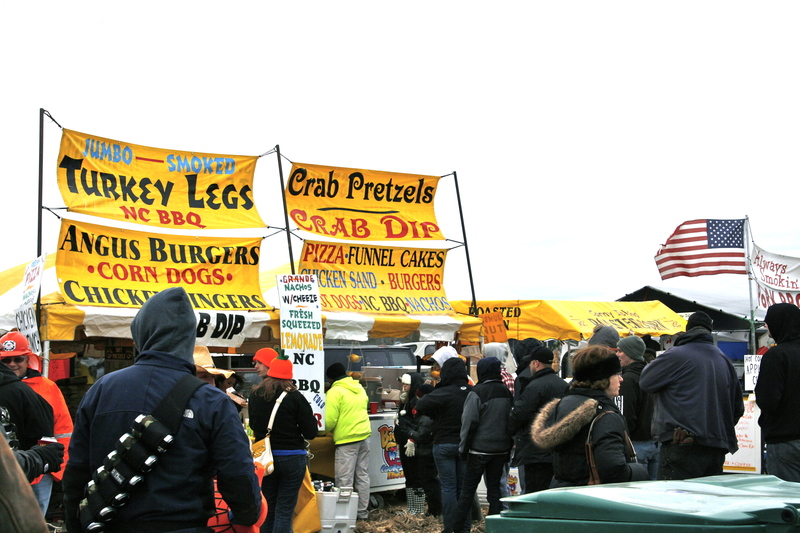 We perused the many booths along the Midway, bought mittens and apple cider, tasted hot sauce and BBQ sauce, and ate pulled pork and crabcakes, funnel cakes and apple pie. 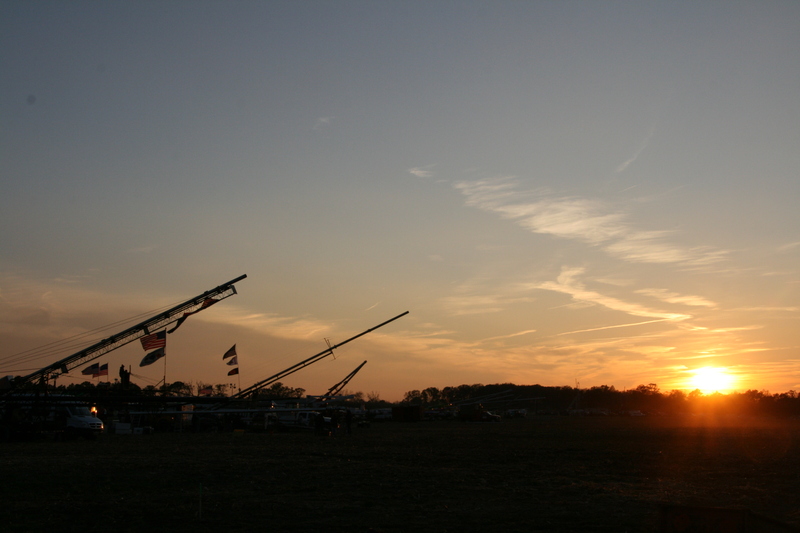 We left the Punkin Chunkin after sunset, tired and cold but ready to return next year to Bridgeport, Delaware, for another 3 days of competition, people watching, and fun.